Here's our dilemma in our small (~25 acre) farm in Northeast Pennsylvania: RAIN, RAIN and more RAIN. 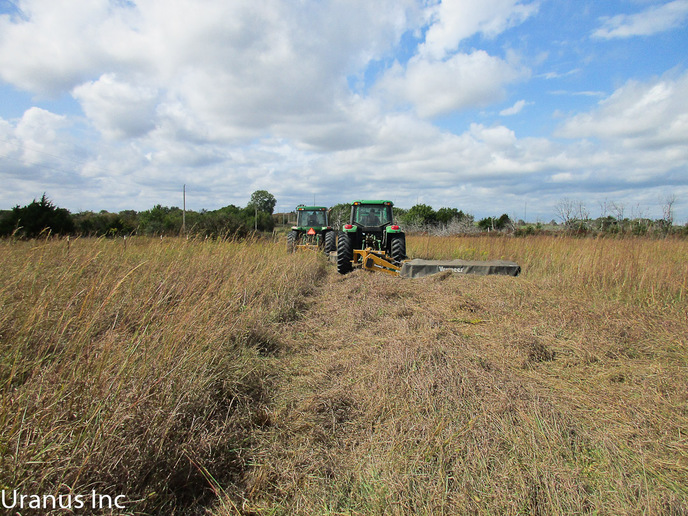 Out of the 25 acres of usable hay fields, we were only able to process about 10 acres back in early July. Rain made it impossible to make hay ever since. Forget second cut....we couldn't even get a first cut of the other 15 acres. Now, in early November, I am just waiting for it to get somewhat dry enough to get into those fields and mow the fields down. We have available a 5ft rotary cutter (mulcher) towed behind a gas 656, or a 9ft sickle bar towed behind a diesel Kubota. I'd much prefer to just use the sickle bar mower, as it would be a LOT faster and much cheaper, but I am now wondering if using it won't get us into trouble for next season. Would this even rot down sufficiently? If you didn't cut it, I would say wait till next year and cut it or find a dry patch. Around here people are still trying to cut there fields, there just too wet. Last year (2017 fall), we didn't have a chance to cut the fields and we did cut the fields this year and the hay came out okay. Same thing with this year. I had to cut a field with the woods mower back in September (weeds, vines, and other crap). 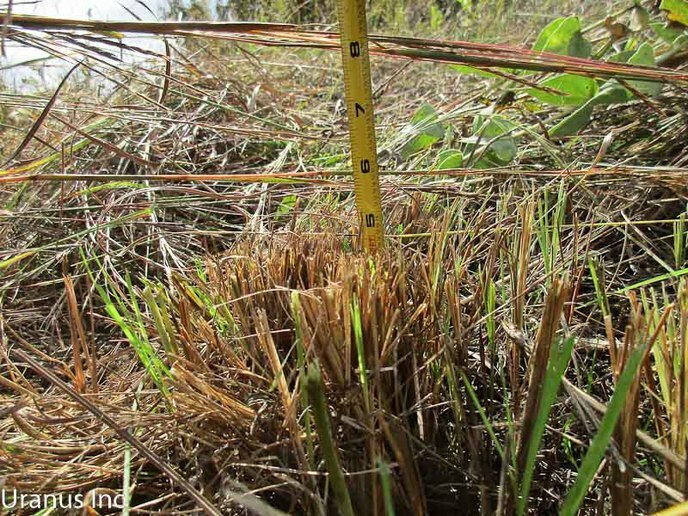 As of now, the grass is about four inches tall. I'm planning to mow the grass this year (spring, 2019) if I don't have that many issues. agree with mikewood.. leave it stand cut it next year.. youll get few more bales.. should be fine and dry..
Mow it with the rotary. It'll rot down fine. In fact I've mowed more than one field in March and it was rotted and grass was mowed again for hay in late May. Leaving it is okay, but I get a better stand of grass, and absolutely get less weeds, if last years grass is mowed. Using the sickle mower will leave the cut grass laying on top of the remaining grass. It won't rot well, and it suppresses growth a bit, depending on how thick it is. Thanks so much for the replies. Some additional information: there are some weeds (mainly goldenrod) in there now as it was left to grow wild all summer. The issue with the 5ft rotary cutter is that the rear wheel of the 656 squishes the grass down which then prevents it from cutting correctly. At that point I normally just overlap, so I maybe get a 3 ft to 3.5ft cut for each pass. I wish I had a 7ft rotary mower, because that would give me double the cutting width than the 5ft. The above was the main reason I was keen in using the sickle bar mower.....getting lazy and cheap I guess. But I like the idea of just leaving it until next year. That sounds even better. Cutting it with the rotary cutter chops it up better so it'll rot faster, the rotted grass will put nutrients back in the ground to help next years hay. I wouldn't worry about what the tire matches down. way to late. We had a horribly dry year where I live. Hay (any kind of hay) is pretty pricey. cut it with a rotary mower or anything to chop it up. I spent a day helping a buddy that cut some second crop and didn't get it up. 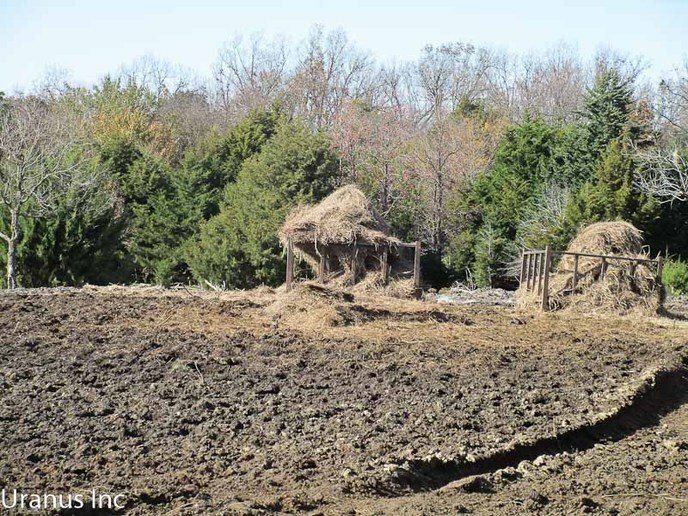 It didn't rot down at all and we had to rake and bale it before he could do first crop the next year. 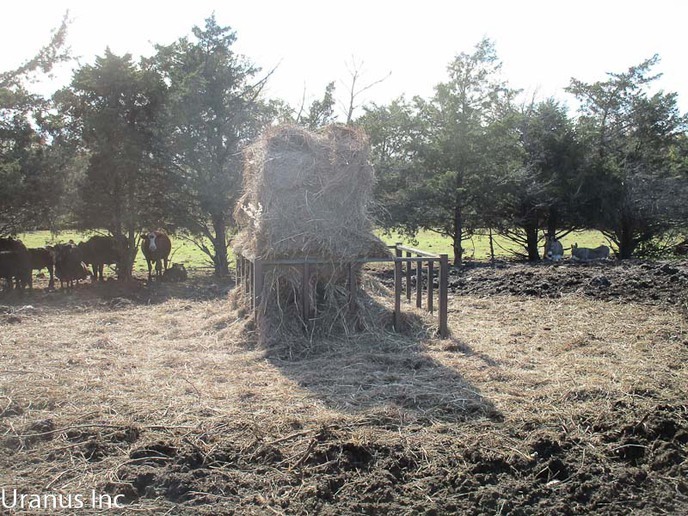 Was horribly wet and made heavy worthless bales. Thanks for all the help. It is appreciated. Right now I still have time to decide, as I simply can't get into the field right now. It's just a mushy mess out there and has been that way for months. There's numerous streams running down the fields where there shouldn't be. The 2-wheel drive 656 would likely get stuck, and definitely rip the fields up. Hardly ever get 24 hours of it not raining. If I do mulch it with rotary mower this year, I might have to wait until the ground is frozen. Now they're saying it will snow in the next few days. It's heartbreaking to see the fields with so much grass uncut, and the barn not having enough hay in it to feed all the animals this coming winter. Goldenrod is one of the "weeds" I was referring too. Just a single year left unchecked and they can really take over. And baling dry goldenrod stalks can be a PITA depending on your baler. So you definitely want to get them chopped up. But you have plenty of time. Two ways to look at it. 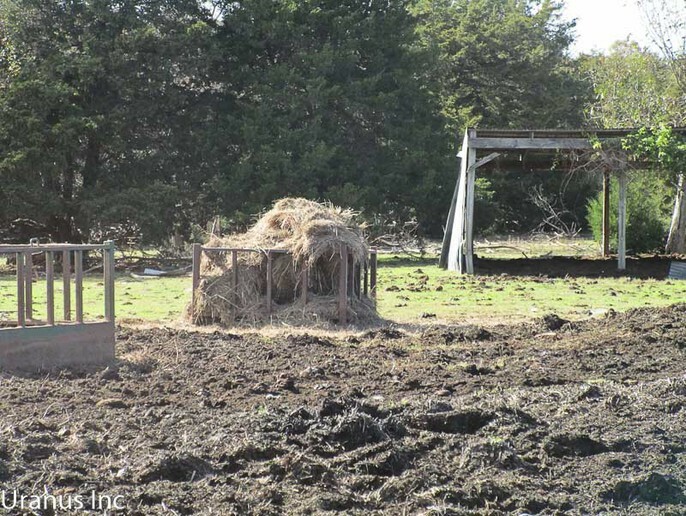 If you have invasive stuff on your meadow, you can go out there and chop it all up, and if it's past the boot stage, and there's seed on the plant...…….you are gonna spread that seed all over the place where it's been mowed. 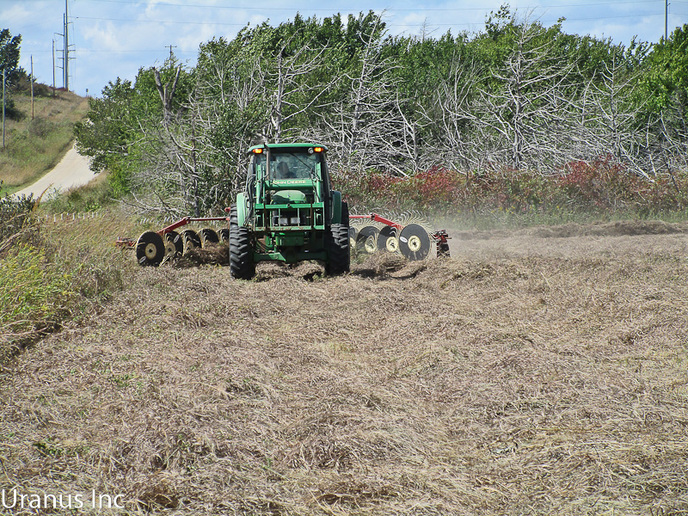 If you run it all thru a swather now, if you can get on the field, most of the plant will wind up in the bale, not spread on the field with the seed intact. Following fallow, I cut it with all the previous season's dead grass in it. Makes fine hay. I guess there isn't any down-pat answer. It's mostly up to you, given the alternatives. Personally, I'd just leave it,, and cut next year. As you know, and I know, the proper time to have cut it was before the stuff made a head, but what ya gonna do. You might be forced to spray next year though. I think, and don't quote me, that Goldenrod can spread thru risers too. Would just about kill me to spray. I hate the stuff. It kills your good broadleaf plants too. (quoted from post at 06:47:32 11/07/1 Goldenrod is one of the "weeds" I was referring too. Just a single year left unchecked and they can really take over. And baling dry goldenrod stalks can be a PITA depending on your baler. So you definitely want to get them chopped up. But you have plenty of time. How big do the stalks get? I'm not sure I'm familiar with it. I get some sort of yellow flowering stuff up in the meadow some years, but it's never been a problem. So my previous advice might be way off. I might have to post some pictures in order to show the field is just so. bloody. wet. I think if I took my JD 1209 Haybine in there now, the wheels would sink down and the mower would rest on the sickle bar. Hindsight is 20/20: but I wished I'd just mowed it down back in July, but of course I was still thinking I could get a cut in. Most will be between 1/8" and 1/4", but some will be close to 1/2" diameter. Although, at least in fields I've baled that had a lot of goldenrod, there's usually iron weed and others in the mix too. 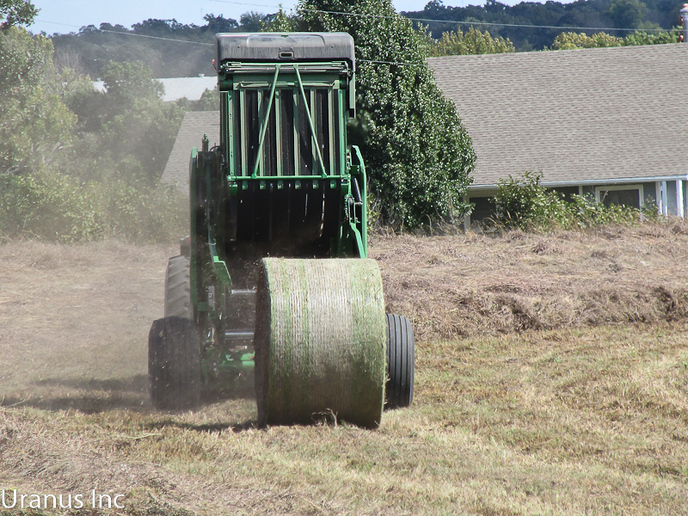 It seems like there's always certain areas where it grows thickest, and it makes it difficult to get a bale started and it's hard on belts. We had a bad year in 2017, the PTO on the hay tractor crapped out(so I thought), and all I could trust it for was cutting the crop that yielded the most per acre. The hay meadow didn't get cut as a consequence of this. Fast forward to 2018, I made a bad decision. I built a tree/brush grapple, and spent too much time on it, and clearing pasture. Hay season snuck up on me before I had a chance to look at the PTO. So the hay meadow didn't get cut till about maybe in early Oct.
Anyways, point bein'...……...you're lookin' at 2 years worth of grass, cut late. I get some sort of yellow flowered plant up by the fence line, but it doesn't ever come in more than a few feet from the fence. Mostly grows in the ditch on the county road. The guy that did the cutting was afraid of going up to the fence because I mentioned that there's some old cable laying next to the fence, and he was afraid to put that fancy mower near it. I generally cut to within about 3' of the fence. You can see that particular plant in the pic, just inside the fence line. Made good hay, and a lot of it. This dood is one of the few honest ones out there. Makes a good tight bale that's just shy of 4 x 6. Meadow made 168 rolls according to his counter. Not bad on 80 acres that's cut up by tree islands. I'd imagine there's a good 10ish acres of ground that isn't good for grass........trees, creeks, etc. We brought a few in the day he finished up. Luckily one of his tractors had a loader on it. 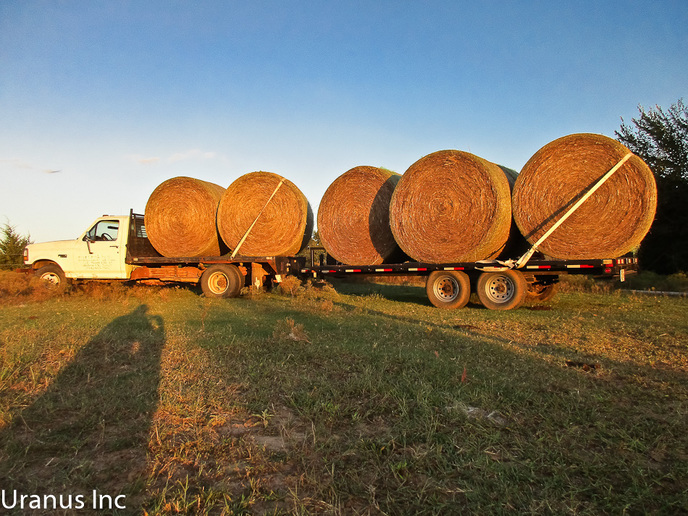 I don't weigh bales, but they felt heavy on the truck when pulling down the highway. And they feel good on the loader when I feed. Brought more in this Sunday, ground finally dry enough (so I thought) to get out there and move some hay. Got stuck on the second load, and called it a day. Stinkin' duals aren't worth crap when it's even the tiniest bit soft. Only ruts we made were a divot from the tractor when pulling the stupid truck out Thank God, WHICH FORCED US TO DUMP THE BALES AND DRIVE IT OUT AND LOAD IT ON THE COUNTY ROAD. Not a banner day. Only real issue I had with the whole deal, was the height that the disc mowers cut. I've never owned one. I still cut with a Hesston 1014. I like to leave 6" on the field. I don't believe in cutting it right down to the dirt. Disc mowers, I've discovered, can't be set for cutting height like a swather. You're stuck with about 4" if the thing doesn't have a set of accesory shoes on it. With some fiddling with the top links, we were able to get it somewhere close to what I wanted. I guess you can only tilt those things so far, then the backside starts to cut lower than the front, and you're back where you started. Have to see how it pans out next year. Low cutting + late cutting is a bad thing. I only cut once a year in late June, or early July. Then it sits to grow out for Winter.